Vitaphysical’s osteopathy and massage treatments provide pain relief and offer relaxation for patients from Hetton le Hole and beyond. Our skilled practitioners are on hand to treat all of your body’s aches and pains, helping to restore function and movement. Many of our clients suffer with chronic pain resulting from conditions such as sciatica, frozen shoulder and arthritis. We also treat individuals suffering from sports injuries and help tackle posture issues to prevent future problems. We treat a huge number of conditions, so if you can’t identify your personal issues on our what we treat page, we recommend you get in touch for a free telephone discussion with Jason our osteopath. This way, we can advise which course of treatment will work best for you and let you know what to expect from your first visit. Osteaopath Jason administers our osteopathy treatments and our talented team of masseuses Bronyia, Emma and Kirsty offer massage therapies spanning deep tissue massage, full body massage and Thai massage. Sports massage specialist Kirsty also works with mums to be, providing pregnancy massage that eases discomfort. Many of our patients come to us following visits to private chiropractors or physio treatment through the NHS and we’re always pleased to be able to provide them with a solution. We’re incredibly proud of the high level of satisfaction among our clients and you’ll find some of our patient success stories here on our website. To book an appointment with one of our team, you can use our online booking system or email info@vitaphysical.co.uk or telephone 0191 565 8886 to discuss your personal requirements. You will find the Vitaphysical centre on John Street, Sunderland, just 20 minutes drive from Hetton Le Hole. There is free patient parking on site and we’re just a short distance from Sunderland train and metro station should you prefer to travel by public transport. 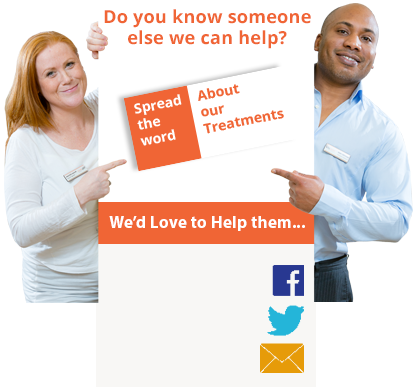 If you have any queries about our treatments or services please don’t hesitate to get in touch. We look forward to welcoming you from Hetton le Hole for osteopathy or massage treatments with us soon.